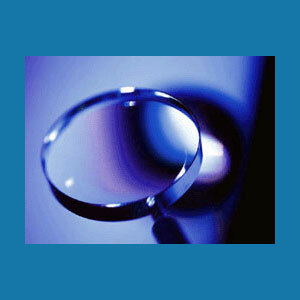 Pattaya private investigators come in 2 distinct varieties. There are Thai detectives who deal almost exclusively with Thai customers who require investigative services, just like any other person would. There are also some foreign expats who run agencies set up almost exclusively to handle the huge number of requests sent in by farangs , who choose to begin intimate relationships with the large population of Thai girls who staff the local bars. These “bargirls” are known to sometimes tell their boyfriends that they have quit the bar life, when all along, they are still on the hunt for new customers, while the naive boyfriend sends them money every month. This expos tells the true story of the detective industry in Pattaya, Thailand. Some clients simply need typical investigative help which is commonly sought in Thailand when buying a condominium, starting a business or dealing with some interpersonal or criminal matter. The legal proceedings in Thailand are very complex, especially for foreigners, so investors are always advised to thoroughly investigate any business venture thoroughly before committing time or money. The remainder of clients hire private detectives to commence bargirl investigations of the very same ladies they profess to love and trust. Such is the reality of long distance love, especially when that love may well be one-sided and a money-making opportunity for a needy young lady from a poor family. Traveling to Isaan is commonplace for the various private eyes in Pattaya. Although the girls come to Pattaya to work, they most frequently retire home when they find a sponsor to take them out of the bar and return them to the countryside. Many foreign boyfriends do not trust the girls or get reports that their girlfriends are still working in the bars in Pattaya. Therefore, it is common to hire a private investigator to check up on the girls and see exactly what they are doing while the sponsor is away. Investigators will canvas the bars and look for the girl. If not found, they will often travel to her village to see exactly what she is doing and with whom. If all checks out, the client is lucky, but this is rare, since most cases end in disappointment for the broken-hearted man and the chance for the girl to return to the bar openly. If you are thinking about a bargirl investigation, do yourself a favor and save the cash. In the end, you will be disappointed one way or the other. If she is being good, you will just ask yourself, for how long will it last , while if proven that you are being played, you will just be wasting more money to end up heartbroken. If you really want to make things work, move to Thailand full time or bring her to your country. That is the best and only way. For all other matters requiring investigative services in Pattaya, we highly recommend that you do spend some money to protect your larger investments. Real estate and business transactions must be monitored closely in order to remain successful. With a quality investigator on your side, you can keep tabs on your money, even when you are not there to actively watch over it.